Hello everyone! 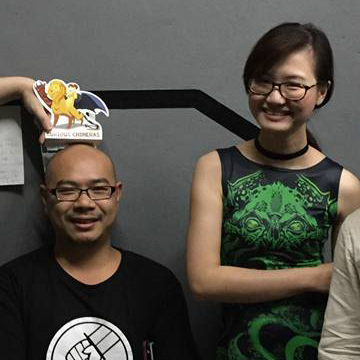 We’re happy to announce that we raised SGD$1200 (47,533 PHP) with our Gaming for Goodness (SG) event last Sunday! This amount will join the funds raised by our allies, Gamers and GMs Philippines, and go towards the provision of educational resources and facilities for elementary school kids being evacuated from the volcano danger zones in the Philippines’ Albay province! Thanks to our volunteer GMs with a wide range of RPGs! Thanks for bearing with our madcap energy and incorporating our thematic megagame effects into your tables! 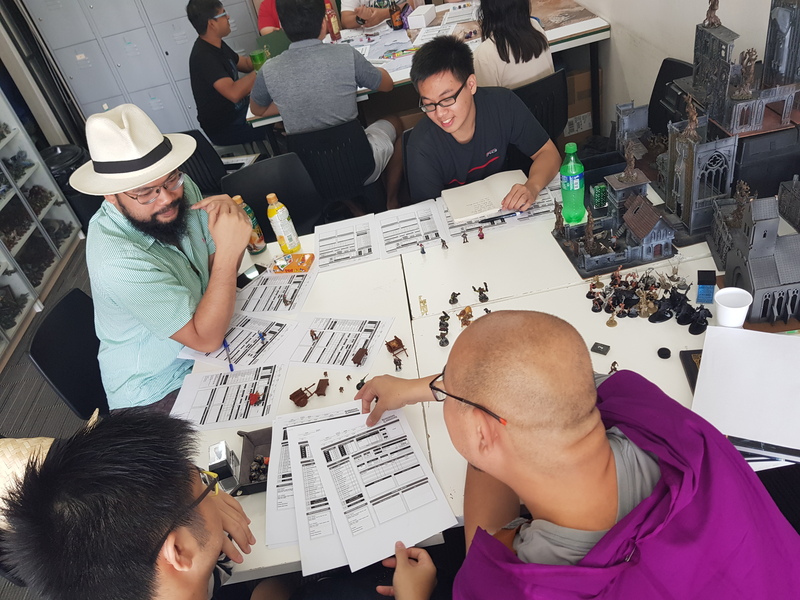 Kudos to Ahmed for running Ryuutama, Nat for running a homebrewed storygame of original design, Marion for running a red-hot Dungeon World! Thanks to our volunteers who helped with our open gaming tables, gacha prize table, managing guests, taking photos, and megagame tracking! Thank you Nani for your help with all the important wheels that keep spinning, and thank you Jonathan for running exciting games of Weave!! Thanks to our sponsors of gifts and energy for prizes, as well as those who loaned their miniatures and terrain to our games! Thanks to Arjun for building and gifting a lava plain and a ziggurat for our arena, Shawn again for gifting a collector’s edition of AD&D books for sale, Oehler for his many blood-thirsty orcs and trees, Sky for his many trap-skeletons, Joash for his ruin terrain, and Rex for all the terrain we snatched up to make our crypts and colosseums! And finally, one massive bow after another, from us to everyone present for our event in one way or another! Players, donors, all played, all donated, in both ways and more! We are thankful for you, who came to play and observe in person, as well as grateful you, who donated and wished us well! You were all there with us in person and spirit, sending us your warmth and good vibes from near and far! You great folks made this all work!!! Thank you!! 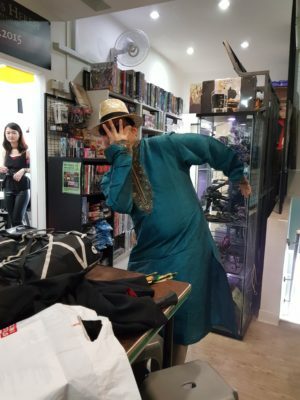 We Chimeras believe in bringing entertainment and good fun with our energy and events, so we wanted to make sure you could come by and play our games, or play from far through your donations! Through all these random bonds of affection and affinity, of playing together… we all grow stronger together, and that’s what we love – life’s chaotic beauty, distilled into fragments of jagged joy, shared with friends and family! Till next time… Stay curious! And do 10 impossible things before breakfast!!! We’ll be running a couple more events this week, wish us luck and strength, and yes, gifts of puns will be most appreciated as well.